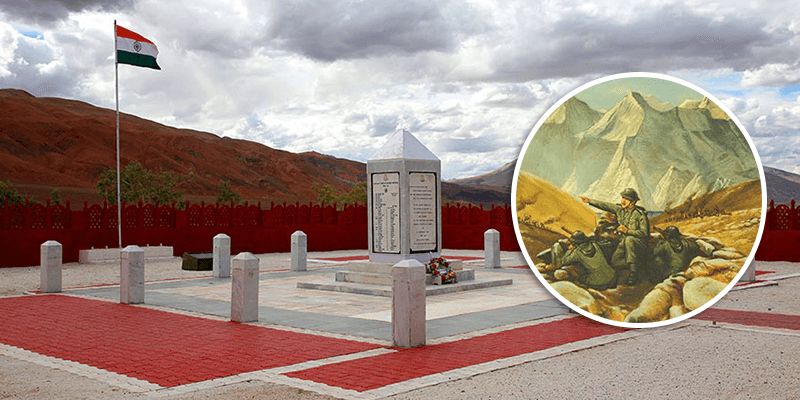 Home Travel 5 Indian War Memorials that will leave your eyes moist! 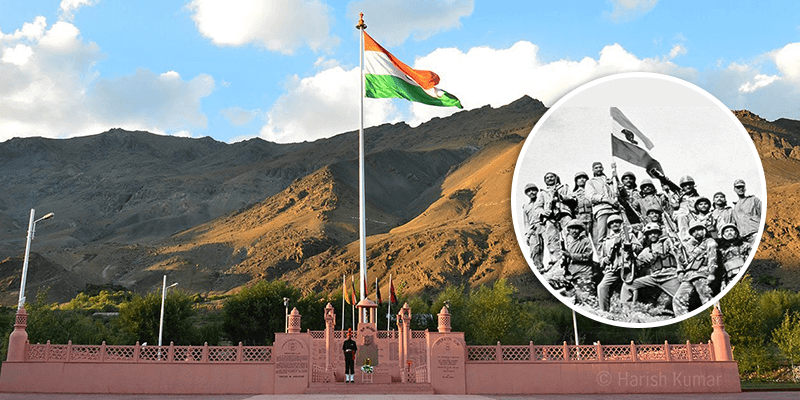 5 Indian War Memorials that will leave your eyes moist! World wars caused a massive devastation upon the world, often wiping out an entire generation from a family line! Though the count of casualties were not so high in India, but Indian soldiers served their part in both the world wars. Sitting in the beautiful and secluded state of Nagaland, in Northeastern India, lies one of the telling monuments of World War-II. The Kohima War Cemetery contains the graves of 1420 soldiers, including 917 Indian soldiers. There are two tall structures with crosses made on either side of the cemetery. On the upper levels of the cemetery lie the graves of most Indian soldiers. While the lower level is well known for the famous epitaph: “When you go home tell them of us and say for your tomorrow we gave our today”. 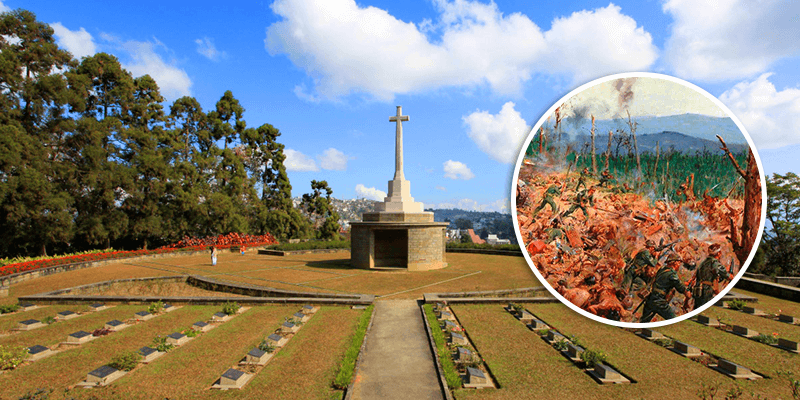 History: The Kohima War Cemetery is situated right at the site where a bitter battle between the Allied forces and the Japanese Imperial forces took place. The Japanese forces who were massive in numbers had already penetrated into India through the Indo-Burma border and their goal was to cut off the supply lines for Allied forces. With little resistance in their way, the Japanese were able to capture the strategically important Garrison Hill in Kohima. It was left to the Second British Division of the Allied forces, constituted by many brave Indian soldiers, to halt their progress. In April 1944, a bitter battle ensued around the tennis court of Deputy Commissioner’s bungalow. Heavy casualties were incurred on both sides. But, at the end of the day the Japanese forces had to retreat. In 2013, the Battle of Kohima was voted as one of “Britain’s Greatest Battles”. A manicured lawn stands today upon the place where so many lives were lost. Trivia: Year 2020 would mark the 75th anniversary of World War-II culmination and there would be a grand memorial service arranged here. History: The battle has been listed in the “8 stories of collective bravery” published by UNESCO! It is believed, by the Indian military experts, that without this crucial victory the Chushul Valley area in Ladakh might have been lost to the Chinese. The 13th Kumaon battalion guarding this territory fought against thousands of Chinese soldiers till the “last man, last round”! Soldiers of the battalion were divided into two platoons and they retarded every attempt made by the Chinese troops. And all this was attained without any artillery cover, to shield them. At the end of the day 114 Indian soldiers (out of 123) laid down their lives for the greater cause of their nation, but not before they had claimed 1,300 Chinese lives. There are many heroic tales of personal sacrifice associated with the battle. Each of the dead soldiers was found clasping his weapon, with multiple wounds. They were led by the bravest of them all, Major Shaitan Singh, who marshalled his troops without caring about his own wounds. 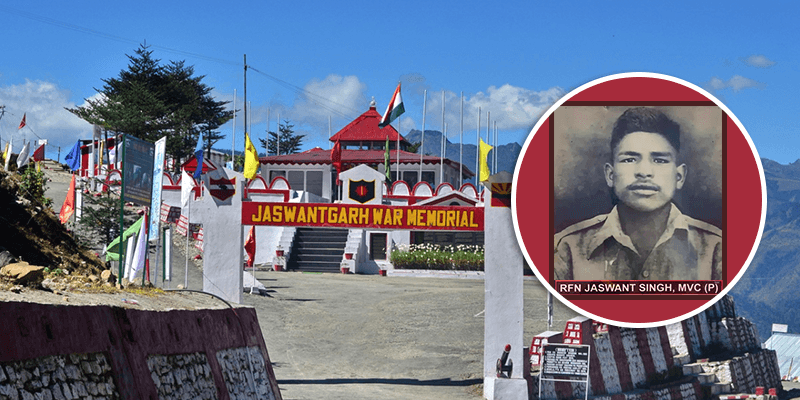 Situated in the hill terrains of Nuranang district in Arunachal Pradesh, Jaswant Garh War Memorial has been constructed at the site where the brave Jaswant Singh was believed to have been killed after lone handedly resisting a Chinese battalion for three days. The memorial contains many personal belongings of the soldier alongside his neatly pressed uniform and well-polished shoes. Even today, it is believed the Jaswant Singh is on a never ending vigil and he protects the valley from any enemies. History: During 1962 India-China war, the Chinese forces were making rapid progress into India. In the wake of this, the 4th Garhwal rifles were ordered to retreat from their posts in Nuranang district. All but one soldier left the post. Jaswant Singh Rawat was the sole soldier who was left to guard the post. It is believed that this brave soldier kept the Chinese at bay for three days, allowing the Indian forces to re-organize themselves. He, with the help of some locals, placed weapons at strategic locations giving the overlooking Chinese soldiers an illusion that the, otherwise empty, Indian post was heavily guarded. As the legend goes, this 21 year old Indian soldier is also believed to have killed 150 Chinese soldiers over these three days. On the fourth day, however, the Chinese understood this clever ploy. They attacked the post from both sides and killed Jaswant Singh. Tucked away in the golden sands of Rajasthan is the mighty Jaisalmer War Museum. 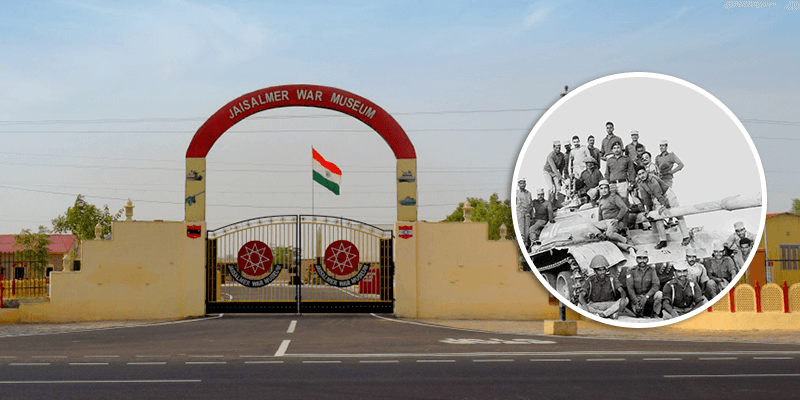 Located around 10 KM away from Jaisalmer and lying on the Jaisalmer-Jodhpur highway, this is a must visit museum to experience the valor of Indian armed forces. It was inaugurated in 2015 to commemorate the Golden Jubilee of India-Pakistan war in 1965. The museum showcases the courage and heroism of Indian soldiers during the 1965 and 1971 wars. The museum is divided into Longewala Hall and Indian Army Hall. There are also Pakistani tanks, vintage armored vehicles, guns and other military machinery put on show at the museum. History: During the 1971 war, the outnumbered Indian soldiers put up a brave resistance against the armored Pakistan forces at the Longewala post. Their resistance allowed India win a decisive victory. On the night of December 4 1971, 120 Indian soldiers held back couple of thousands strong Pakistan army. It is also worth remembering that the Pakistan forces attacked with their tanks and yet the brave Indian soldiers were able to resist them for many crucial hours. Must see: Do witness the audio-visual show here. It plays videos and pictures from the various wars fought in Rajasthan. Have you ever tried staying out in a place having temperatures between -30o C? Well, the Indian soldiers have to do that as a part of their normal duty. Yes, we are talking about the hilly terrains of Kargil and Dras where temperatures can drop below bearable limits. Kargil War Memorial was built on the foothills of Tololing Hill, at Tiger Hill. Spread across the expanse are the graves of Indian soldiers who lost their lives in the heroic battle. There is also a sandstone wall bearing the names of all the Indian army personnel who were martyred during Operation Vijay. The memorial also offers panoramic views of all the peaks that the Indian army captured back from Pakistan. History: Between May-July, 1999 the Indian army was called upon to oust the Pakistani intruders from their homeland. Holding strategic positions, on steep hills, Pakistan paramilitary forces already had a great advantage. But that did not deter our brave soldiers one little bit. They fought against all adversities and crushed the hostile attempts made by Pakistan. Hundreds of brave Indian soldiers laid down their lives while protecting Indian lands and people. Must do: A live briefing of Kargil conflict is conducted throughout the day near the Amar Jawan monument. Visitors are shown peaks which were reclaimed and the commentary gives a feel of the battles that were fought in the summer of 1999. Previous articleAn Andaman Holiday, like NEVER before! Why only 5…lot many bravenotes of our immortal soldiers are there… I am proud to be an Indian and feel proud to be safe because of them…salute you dear soldiers. Wonderful piece about the history of memorable battles and about the valiant soldiers who have sacrificed their lives for the honour of the nation. My gratitude to you. These inspiring memorials are very well described. I hope some memorials will be discussed in near future.